I, a proponent of the treat yourself lifestyle, started budgeting seriously in October 2017, when I found You Need A Budget (YNAB). 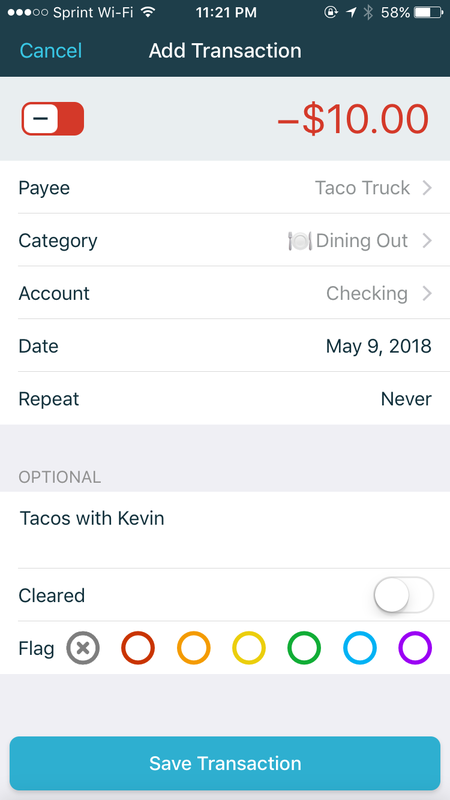 Before YNAB, I created utopian budgets, fell into a common trap (read: treating myself), saw angry red budget numbers, gave up, and promised the next month would be different. Spoiler: The next month was never different. 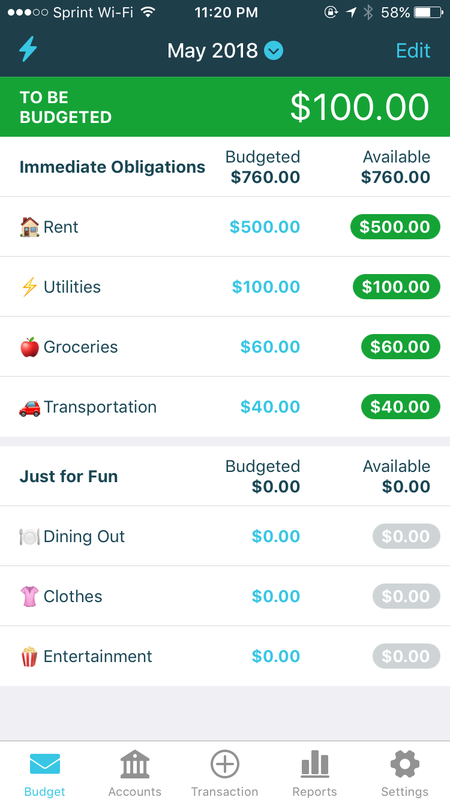 You Need A Budget (YNAB), a budgeting tool empowering users to gain control of their money, uses four guiding rules as the pillars of the digital experience. For example, “Rule #1: Give Every Dollar A Job” teaches that only money-in-hand can be budgeted, because tomorrow’s money isn’t guaranteed. Therefore, the app only pays attention to money in the bank and without mention of future income. YNAB simplifies my struggle to project monthly spending by limiting the focus to money-in-hand. YNAB eases my frustration with being at fault for an erroneous budget by allowing the flexibility to embrace change. YNAB supports my concurrent financial goals by divorcing the relationship between budgeting categories and bank accounts; my money can live anywhere and be properly attributed to a goal. 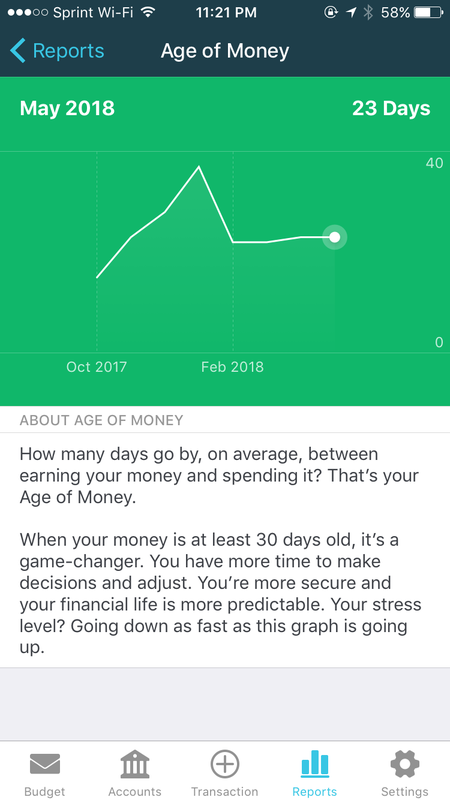 YNAB as a budgeting philosophy is not trivial. The required shift in thinking makes the first few interactions feel glitchy, until you understand that they’re functional manifestations of the four rules. While the learning curve is steep, the support forums are deep. YNAB invests ample time and energy into FAQs, live webinars, help documents, podcasts, and weekly videos. Budget available money where it’s “needed” most, then where it’s “enjoyed” most. 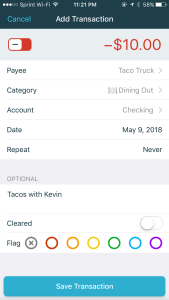 Add transactions on-the-go to maintain an accurate budget you can trust. 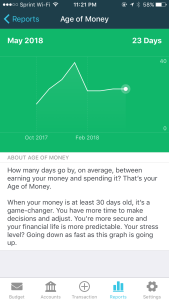 Report for “Rule #4: Age Your Money”, a tactic to break the paycheck-to-paycheck cycle. I spend a lot of time considering the healthy tension between an experience’s form and function. How one informs another is the first, and most important, decision a designer will make. While there’s no universally applicable formula, users crave the balance. This balance is the reason Instagram is addictive and ride-share apps have changed our social lives. 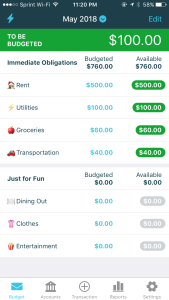 YNAB is successful because the form (a digital experience built around a budgeting philosophy) firmly guides the function (healthy and informed budgeting habits). Cheers to budgeting bliss!